Word on the information superhighway is that Samsung is looking to create its own Facebook-style social network. Imaginatively code-named Samsung Facebook, it's meant to be accessible on smart TVs and cameras as well as on the traditional smartphones and tablets. The early bones of the social network are supposedly set for an early 2013 release, inspired by the relative success of ChatOn. The key to ChatOn's success has been instant messaging between different types of device on different platforms – as well as being on Samsung's bada OS, its an app on iOS, Android, BlackBerry and Windows Phone as well as on PCs. 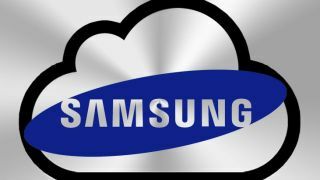 According to Korea Times' sources, the network will integrate with Amazon's cloud services, as well as being built into Family Story, Samsung's existing social app. One official told the paper, "By the end of the year, we will have a polished and finished version of Family Story that will be offered first to Samsung device users for free. "The new service will become available in the first quarter of next year at the earliest. "The eventual goal is to expand our social media service across different devices from different companies across different mobile platforms. That includes cameras, televisions and blue-ray players. "We are confident that the service will be popular globally. That means we need to guard against the possibilities of a data bottleneck. That's why we want a server-based computing structure and disperse with a network of servers across different countries."